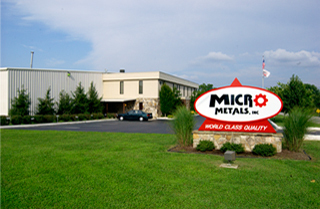 Powder Metal Parts | Powder Metallurgy & Facility | Micro Metals, Inc.
Powder metallurgy (P/M) is the ideal process for manufacturing complex mechanical component gears, cams, sprockets and other multilevel parts. The greatest advantage of the powder metallurgy process is the precise control it gives engineers over materials and their properties. From powder selection through purchasing to mixing, each blend is under strict quality assurance. Powder metallurgy is flexible. With nearly unlimited combinations of properties, it is likely that a powder metal part can be designed to fit your application. Often, one P/M part can replace two or more existing parts, giving greater strength to the assembly while reducing inventory and manufacturing costs. The powder metallurgy process offers a lower cost per unit (due to mass production), net or near-net shape of finished pieces, and less material loss than conventional machining. Our location in Jamestown, Tennessee, between Nashville and Knoxville, situates us in the heart of a growing industrial South. Near major transportation networks and within 24-hour delivery of 75 percent of the United States P/M market, we are prepared to supply our product to both domestic and global customers.